Sorry. . . I like puns.
. . . Moving on! 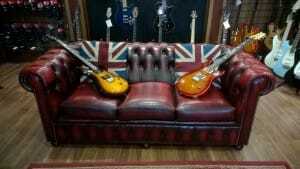 We’ve had some new arrivals from PRS which have landed in-store. January always prompts the imagination of musicians and gear lovers with the Winter NAMM show in Anaheim, California, which sees the biggest brands in the guitar and technology industry unveiling their exciting and interesting new releases for the year to come. 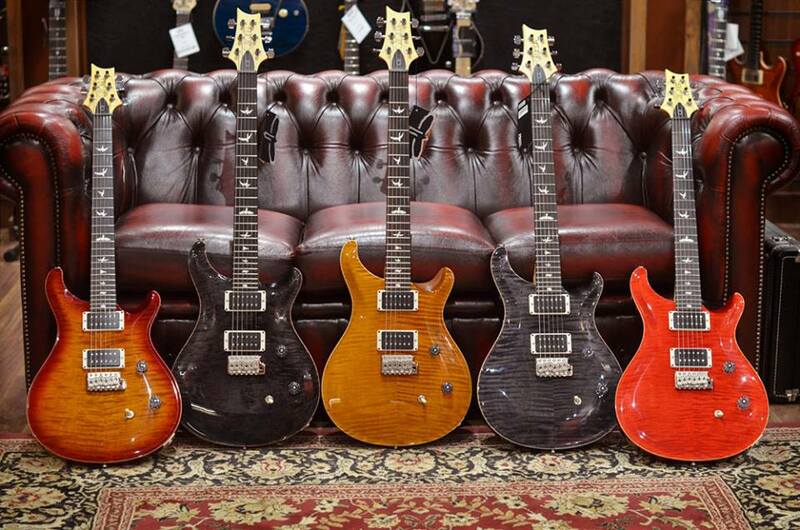 PRS have kicked things off in their 2016 schedule with the reintroduction of their CE model, which numerous players will remember from an older series of bolt-on models produced by PRS and discontinued in 2001. The idea of the CE, or Classic Electric model was to produce a more affordable, ‘Work Horse’ instrument and saw a few changes to the more expensive Custom series which we’re all familiar with which included a bolt-on 24-fret maple neck, dot inlays and alder body (With a change to a Mahogany body in 1995), as well as Maple-Top options becoming available from the CE model’s second year of production. The CE-24 and it’s 22-fretted brother, the CE-22, were met with positive reception and is still a model which is sought-after by a number of PRS players on the second-hand PRS market. The first thing that immediately jumped out to us is that these certainly do not have the appearance of a lower-cost model, bearing their more affordable list-price of £1,729.00 in mind. The tops are nicely figured on each guitar, with a natural binding around the body; the fretboards are rich in colour and are complimented by PRS’ bird inlays; picking one up, the weight is reassuring and the maple necks feel robust and easy to play. 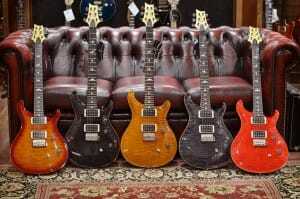 If the CE series was PRS’s approach to a ‘Work Horse’ guitar, then these are some pretty work horses indeed. The minimal compromise from a more expensive model doesn’t end there, either. 2016’s version of the CE continues the use of PRS’ 85/15 pickups which have been used extensively on their product range since 2015’s 30th Anniversary models, and so the the CE-24 produces a clear, Mid-rich tone when plugged in. The idea of a more affordable PRS model may remind some players of the S2 range of guitars which were introduced in to PRS’ roster in 2014 which also provided an alternative for players who didn’t quite have the budget for a coreline USA-made model. Well, just what is the difference between the CE-24 model and the S2 Custom 24, and what does paying that bit more get you? So, there’s quite a few differences and upgrades to consider with the CE-24 model and feel-wise, they certainly feel closer to the more expensive core-line range of Custom models than the S2 models do, in our mind. So, certainly a great way to start 2016 from PRS’. 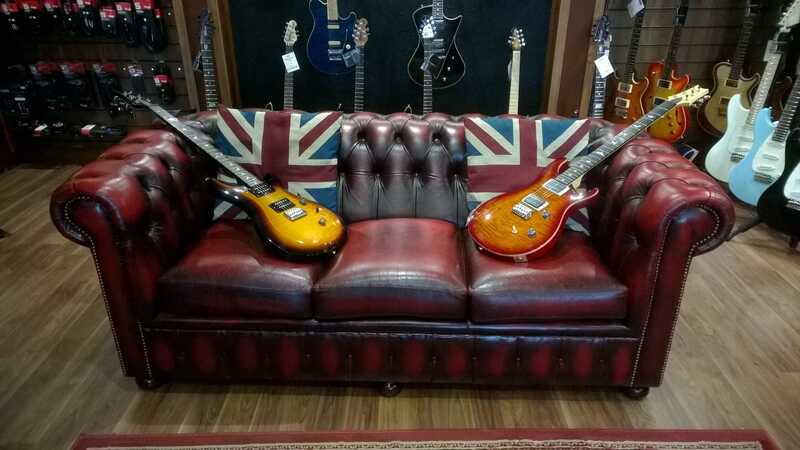 Always feel free to get in touch with us if you need any further information on these new arrivals but, as always, do stop by and get plugged in!